Log in or join now for free. Antigen assay for the quantitative determination of total fibrinogen antigen in rat plasma and serum. This data analysis tool calculates concentrations using a Four Parameter Logistic (4PL) curve fit in accordance with Molecular Innovations' Rat Fibrinogen ELISA Kit. The standard data points are plotted (concentration vs. absorbance) on linear axes and a 4PL curve is fitted through these points. The concentrations of the unknown samples are determined from the fit and any specified dilution factors are applied. The %CV, Standard Deviation and Standard Error are calculated for each replicated sample. Samples outside the range of the standards or the fit (greater than the upper asymptote or below the lower asymptote) are highlighted in yellow. After reviewing other analysis parameters press the Calculate button below to process your results. • MyAssays Excel Add-in for Windows/Apple Mac. • MyAssays Desktop for Windows. This tool can automatically import your data from Excel and combine data from multiple Excel files (for multiple plate analysis). Video walk-through of importing data from Excel document available here. Alternatively, select Raw option above and then copy and paste your data from Excel into the edit box. Enter or Paste the values into the edit box. If the values are in a sequence, select the Series... button to define the series. Press , , , or to change the operation. Enter a delta value for each step. To remove the series and enter your own values push the Series button. 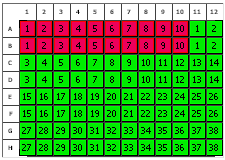 If the series repeats in blocks, press the restart button and enter the number of rows in each repeated block. Optionally provide an ID for each of your Unknown samples. Provide identifiers for each of your samples. If your IDs use a numeric sequence press Series to define an increment. The Sample ID series is generated from the specified first ID and increment value. Optionally provide a custom run name; this is useful to help you to identify these results in the future. The provided name will appear at the top of the generated report and on your home page (under your analyses list). Optionally provide notes to store alongside this assay analysis (e.g. Lot ID, preparation notes, etc.). The provided notes will be included at the top of the generated report. Click here to remove all flags. The Molecular Innovations logo is a registered trademark of Molecular Innovations. Only members can access this function. Please log in or join now (it's free to join).